So all over the Booktube lands I have been hearing this buzz about Project 10, which is basically a way to stop purchasing books until you have read 10 books on your self. 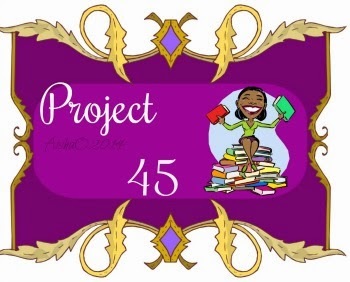 Well I'm way too behind for just ten books, so I thought why not do a Project 45 instead that way, I'll not purchase any books until I've cleaned up my TBR shelf a bit. Since I tried this at the beginning of the year and had a blast because I accomplished quite a bit. I managed to clean up over 45 books from my TBR pile and was extremely motivated to continue doing so. For me the Project 45 will run from July 1st until September 30th (or really until whenever I have finished them I doubt it will take that long) and then all bets on books are off. I hate creating lists because I tend to not stick to them with that in mind I'm going to share some of the ones I'm really looking forward to reading. Each book read will be marked off by these colors. I'm also going to be creating a list on Goodreads that I will update as I find more books I wish to read and place them on the shelf. Once the project is done I will do a recap with all of the reviews as well. Does a Project 10 or 45 sound good for you?? Share in the comments.